Maine State Prison presently has a Correctional Electrician II position vacancy in Warren, ME. This position is open to current Maine DOC employees who wish to transfer to this facility and all outside candidates. The Correctional Electrician II position is responsible for the daily installation, alteration, maintenance and repair of electrical systems and related equipment at the facility. This position performs major electrical repairs and maintains refrigeration units, transformer electric motors and generators, underground conduits, intercom system, fire alarm system, metal detectors, building control systems, door card readers, security monitors, cameras, in-house telephone equipment and other electrical apparatus. The Correctional Electrician II plans and lays out electrical jobs and estimates material needs and time required for completion of jobs and is also required to maintain adequate inventory control of materials and equipment used in these projects. This position orders and maintains inventory of materials and equipment and is required to record various procedures and meter readings. This position performs ARC Flash Assessment to comply with NEC and NFPA standards and inspects electrical systems, appliances and equipment to ensure safe and proper operational function of all electrical equipment. This position supervises and instructs inmates working on electrical projects and observes inmate behavior in accomplishing assigned tasks and to maintain institutional security. Installs and performs major electrical repairs on refrigeration units, dishwashers, hotplates, fans, ovens, ranges, and water heaters to ensure safe and proper operation. Installs, maintains and repairs intercom systems, bridge controls, signal timers, traffic signals, and other electrical apparatus to ensure safe and proper operation. MINIMUM QUALIFICATIONS: (Entry level knowledge, skills, and/or abilities may be acquired through, BUT ARE NOT LIMITED TO the following coursework/training and/or experience). LICENSING/REGISTRATION/CERTIFICATION REQUIREMENTS: (These must be met by all employees prior to attaining permanent status in this class). Master Electrician's license as issued by the Electrician’s Examining Board. 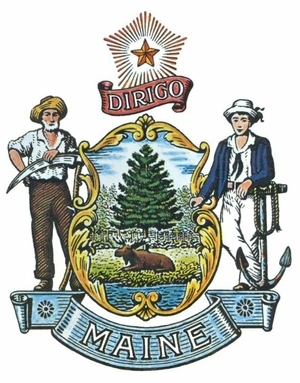 Some positions may require a State of Maine Class C motor vehicle operator’s license.